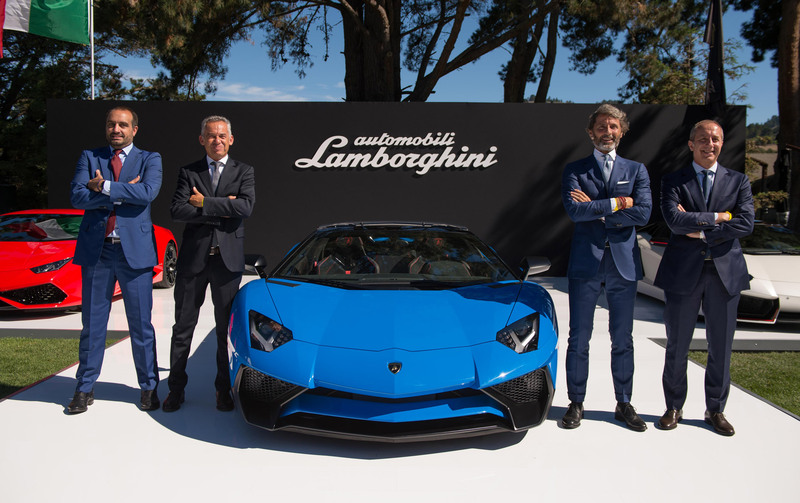 The Lamborghini brand keeps on getting more and more exclusive by the day with the company making fewer examples of every car by each passing day. Lamborghini decided just 500 of these , 100 less than its sibling coupe. The 2017 Lamborghini Aventador SuperVeloce Roadster was today unveiled at Pebble Beach Concours d’Elegance. Power comes from a 739 horsepower 6.5-liter V-12, allowing Aventador SV Roadster owners to accelerate to 100 kph from rest in 2.9 seconds and reach a top speed in excess of 350 kph. Drive remains to all four wheels, via Lamborghini’s seven-speed ISR (Independent Shifting Rod) transmission. The roadster has shed 50 kgs over the coupe but is still 50 kgs heavier to the standard Aventador roadster. 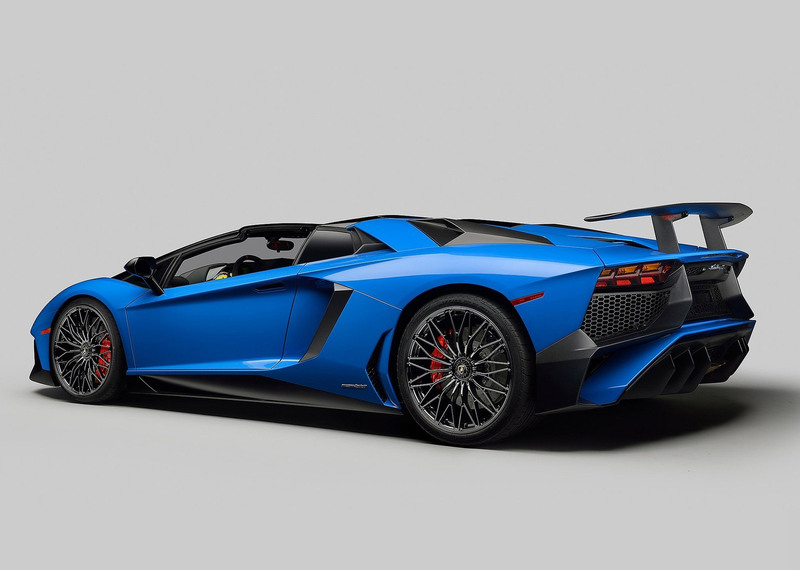 The 2017 Lamborghini Aventador SuperVeloce Roadster has the same hardware as the Aventador SV coupe, including the adaptive Magneto Rheological Suspension, pushrod damping system and Lamborghini Dynamic Steering (LDS). The suspension can be adjusted for more stiff or comfortable ride according to the driving conditions. For those who want to hear the engine roar as loud as possible, the Lamborghini Aventador SV Roadster is fitted with a power rear window that allows engine sounds to fill the cabin. 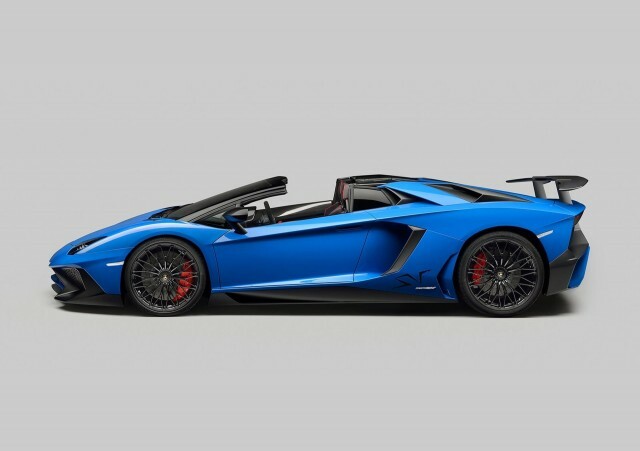 Another particular feature to the SuperVeloce Roadster is the two-piece hardtop made from carbon fiber which allows “the highest possible component stiffness combined with extremely low weight,” according to Lamborghini. The two roof parts each weigh less than 6 kg and can can be stored in the luggage compartment. The car will cost $530,075 with the other customization’s quickly escalating the prices. Deliveries for the car will begin in 2016. Lamborghini just manage to outdo themselves every time with the Aventador. Each iteration just keeps on getting better and better. I could keep on looking at it for hours!! Lamborghini Centenario LP770-4 to celebrate century of Company Founder.